LONG BUSH, Tortola, VI- Word just in to our newsroom is that a number of linemen who came to the Virgin Islands to assist in the restoration of the electricity infrastructure following the destruction of Hurricane Irma on September 6, 2017, downed tools this morning, January 9, 2018 over late payments. According to reports, the linemen were disgruntled over untimely payments and allegedly not being paid to the amounts promised. 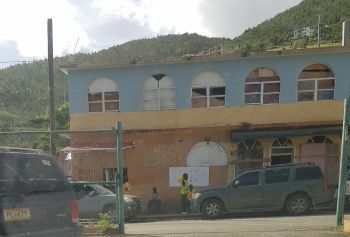 The linemen were assembled outside the BVI Electricity Corporation (BVIEC) main office in Long Bush, Tortola until around 10:30 A.M. But according to a source, the issue was just a misunderstanding and once that was explained to the workers they resumed duties. According to the same source, it is understandable that payments would be late at times due to the banking system, "but the payments were never late for like a whole week." He, however, refuted reports that there was also an issue of persons not being paid the amounts agreed on. "That is not true at all," the source claimed. It is not clear if any of the local linemen were part of the brief strike. Efforts to reach the BVIEC General Manager Leroy A.E. Abraham for a comment were not successful up to time of publication. Same pre -Irma mentality. The people work and should get paid and all you bakra master have as a response is that they should be happy to be in the BVI because some of them want to stay. Struuupes. When you were in darkness and paying how much for fuel to run your generator, am sure you were not saying that. ungrateful and wicked is what you are . Pay the people if they work. Nonsense. Drama, drama, drama. Too much drama in the VI. Everything is drama, drama. Why can’t contractors local or external get paid on time. Why did linemen ( are there no women in the group?) have to strike to resolve this payment issue, if it were a simple misunderstanding? Something is probably rotten in the state of Denmark. 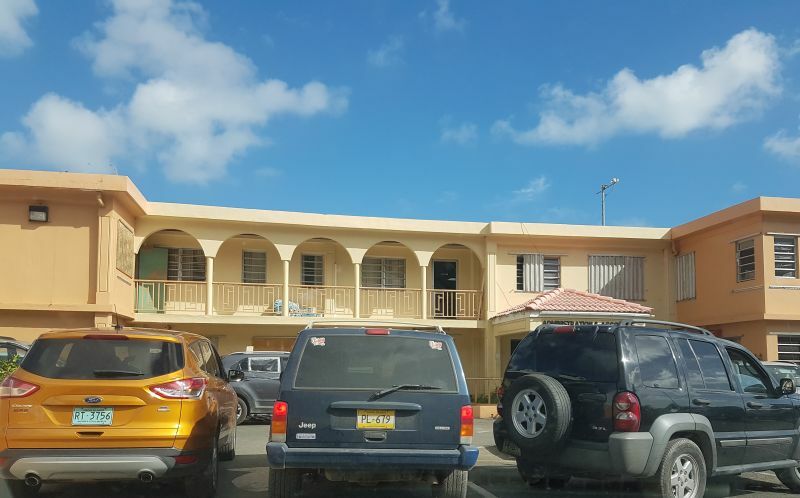 Why is everything in the BVI appears to be dysfunctional? Both "overseas " and local linesman (and for the purpose of one diaspora) "linesmen" generally means women to but thats not the issue) sorry i was saying they have been doing a great job and should be commended. The thing is the working condition here before the storms have been deplorable . People have complained for years with little or no help. These "overseas linesmen" will stand up for their rights unlike us who know if we do we will be victimized . I am sure the local ones have issues to. @ODT, have to politely disagree that “linesmen” means women too. No. Line repair technician, line person........etc though awkward sounding are more gender neutral. The term policeman or fireman or stewardess are not used any more. Instead, police officer, fire fighter and flight attendant are used, respectively. And we should used the term handicapped but rather person with disability(s). Politically correct yes but it is what it is. That said all employers in the BVI must provide a safe, healthful and secure working environment. But this brief slow down appeared to be a payment issue. As noted earlier, too much drama in the BVI. It is not understandable that they are delayed. The top priority should be to pay these guys on time. Start the payments earlier if necessary. They need to ask their bigman why they aren't paid when BVIEC paid him and he in turn did not pay his team ontime. Too many hidden untruths. Ask their head of their team the question see what he says. Truth will be told and he will be shamed if he don't tell the truth. All these teams from other islands come with a head that the team reports to etc. So ask him the question and stop trying to tarnish the BVI and BVIiEC. THANK YOU WITH THEM S#IT!!!!!!! Don't worry, those that love to blog and put up ugly, derogatory headlines and have lofty aspirations will be beaten with the same dirty stick if successful for the big chairs. Hope they can take it. THEY WORK HARD AND WITH STYLE and have all right to protest for their money. Neat work guys, proud of you guys climbing those pools. If we had to depend on the BVI WORKER hurricane season would come again and they would have just started. @ Chance you all people to dam ungrateful. You either just come on the scene or memory short. Do you know the good work the electricity workers have done in the past on other major hurricanes without the aid of overseas lines men. They worked day and night. I heard the corp has stop paying over time. The workers are disgruntled and demoralize but they continue to work hard. I remember when before hurricane they had like two persons working night shift covering the whole island, was not so in the past. The bad spending has caught up with the island and now we are going to run the country on loan money because both NDP and VIP overspend on some major projects. I am a local and I work 7 days a week! And my payment comes with an orderly fashion. Even tho you have to wait. It's a process. The people who work in administration was also affected by the hurricane! And they still come out to make the best of the situation to help others before they help them self. That late payment i think it's internal with the the over seas administration. So to all the bloggers with negative feed back. I can bet you can not fill the shoes of the people in the bviec that's making an effort. You wouldn't like if they think negative like you. And point finger and give up. its good to know difference between positive and negative. i never drop my 'tool' in front of pretty women. I drop my pants. Ha ha ha ha ha, ho ho ho ho, hee hee hee - mon deaux.